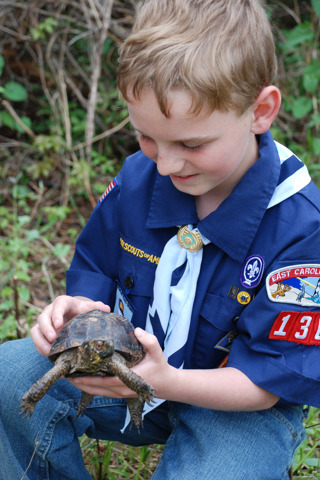 Register your scout troop for Special Activities and Badge Programs designed specifically with Scouts in mind. Join Aquarium instructors on an adventure that fosters creative exploration, scientific theory and feet-wet fun! Here, troops will learn what it means to be a naturalist, the basics of oceanography and the importance of plants and animals in local environments. They will trek through the maritime forest, visit labs and talk with knowledgeable instructors. 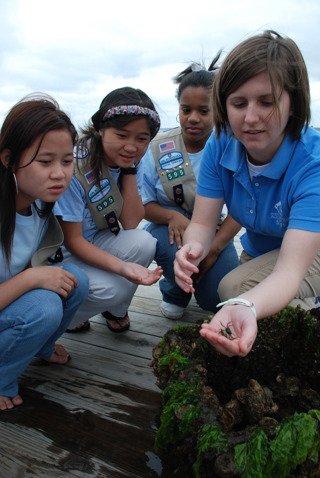 Choose from a list of badges specifically for girl scouts and boy scouts including Oceanography, Amphibian and Reptiles or Sea Turtles, among others.